In February (Edinburgh and Glasgow) March (London) and May (Manchester) we present a programme focused on ‘Mujeres’ (Women). F-rated programme to celebrate a new wave of female filmmakers coming up from Spain. Our fantastic Ieva Rotomskyte has gathered information about the films that we will be showing in this article, so you can get excited and warm up for MUJERES – Women in Film. Share it, spread the word and see you at the movies! 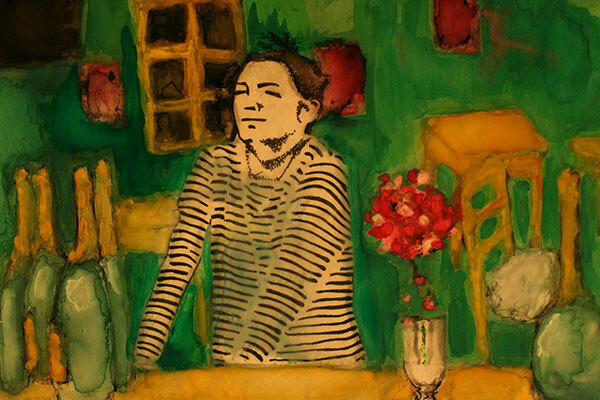 Thursday 10th May 5pm- MUJERES short film programme, Cervantes Institute manchester. In CinemaAttic we are a bunch of optimists. We feel very partial to the positive change that is taking place in the global film industry. Long overdue, it finally seems to be entering a new phase where women are not only to become more welcome as creators, but also their input on every level of cinematic story-telling more appreciated. We couldn’t be more excited to be part of it, because in order for the female voice to be heard, there should be platforms that amplify it. So prepare for February to be loud and proud for women! As a film director Estefania Cortes has written and directed the short films Moiré (2014), starring Inma Cuesta, selected in more than eighty festivals and winner of more than fifteen international awards, Yerbabuena (2016), starring Ingrid Rubio premiered at the Zaragoza Film Festival and Miss Wamba (2017) premiered at Medina Film Festival. Currently she is immersed in the pre-production of her first feature film Edén. Ruth Diaz (who also appeared in ‘Behind’ – a chilling psychological horror short we screened as part of our MIEDO programme last December) only received the due acknowledgement from the industry 20 into her acting career. In 2016 Venice Int. Film Festival she won the Best Actress award in the category of Venice Horizons, followed by a Goya nomination as Best New Actress in 2017. Fake hair, fake condolences and fake stories – the only truth here is death, awkwardly palpable through all the pastel colours, powders and concealers. In this beautiful enigmatic film, the virtue of truth and the virtue of lie go hand in hand like sisters. In 2010 Alejandro G. Salgado won INJUVE Award to Young Creation as well as many national and international awards for “Among tissues and dreams” short documentary project. In 2013 he directed The Disorder of the Senses documentary film, which won ASECAN prize for the 2014 Best Andalusian Documentary Short Film among other national & international awards. At the same time, since 2011 he worked with direction and production teams of various feature films. His last documentary Bolingo, the Forest of Love has won five awards between short film and documentary festivals in Spain, Mexico and France. An intense short focus on some of the African female migrants and the tremendous hardships they have to endure on the way as mothers to be. Travelling from the heart of Africa to the Spanish border North of Morocco is a journey for survival as much as it is a journey towards the ‘European Dream’. Bolingo means love in Lingala; a language used by a group of Congolese migrants giving humanity to the migrants’ drama in North Africa. They created a camp where migrant women could live with their children until circumstances allowed them to cross the border to Europe.The narrator Gloria Ekerewen tells her story with the utmost sincerity, captured in a very intimate, soft and gentle cinematographic style. Laura Ferrés is a filmmaker from Barcelona (Spain). A Perro Flaco is her degree’s final project, a fiction short film selected by 60 festivals around the world such as SEMINCI 2014 (Spain) and Montreal World Film Festival 2015 (Canada). Los Desheredados, a hybrid between fiction and documentary featuring the director’s father and grandmother, is her second short film and it was premiered at the Semaine de la Critique – Cannes 2017, where it won the Leica Cine Discovery Prize for Best Short Film in Competition. Recently, it be nominated for the European Film Awards. 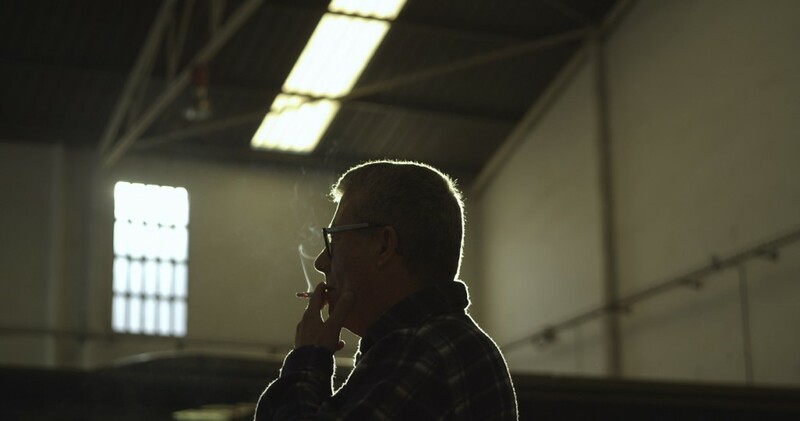 Los Desheredados is a portrait of the director’s father facing the end of his family business. Pere Ferrés is 53 years old and owns a bus company. Lack of money forces him to drive clients who destroy his vehicle to bachelor parties, but he is not prepared to lose his dignity. Clara Roquet is a young Catalan screenwriter and director. Her first screenplay “S.L. Familia” won the Special Jury Prize at the VIII Julio Alejandro Script SGAE. Her second script “10.000km,” co-written with director Carlos Marques-Marcet, became the winner of the Malaga Film Festival as well as the Goya for Best New Director. The movie was widely released and won multiple prizes at festivals like SXSW or Seattle, and the Gaudí Award from the Catalan Cinema Academy for Best Screenplay. Roquet has just finished her latest project as a screenwriter, collaborating with director Jaime Rosales for his next film, she is also working with Daniel Burman on the adaptation of Milena Busquets’ hit novel “This Too Shall Pass.” Thanks to a scholarship from La Caixa, Roquet has studied a Master of Film at Columbia University in New York. In 2015 she made the leap to the direction with the short film “El Adiós”, produced by Lastor Media, winner of the Golden Spike in SEMINCI and nominated to the European Academy Awards. “El Adiós” premiered at the Toronto International Film Festival and won the Gaudí Award from the Catalan Film Academy for Best Short Film, the BAFTA students and the jury prize of the Directors Guild of America. “The Good Girls” is her second short as director. Good girls will not be complacent. They will not be scared and do as they’re told. They will show you what they’re made of. Two sisters growing up in Catalan countryside will each find their own cause for rebellion – against their parents, against the system and against each other. Bewitching cinematography from Gris Jordana deserves a separate mention here. This is the first short film written and directed by Laura Jou. The director of the award-winning No me quites, began her career as a theater actress. Later, she mainly specialized in the direction of child actors. In her work as a coach for boy and girl actors, Laura Jou has gained recognition and prestige throughout the country. She worked with world renowned directors like J. A. Bayona, Alejandro Iñarritu and Agustín Villarong. In addition to running her own acting studio, Laura Jou works as a professor at ESCAC (Escola Superior de Cinema i Audiovisuals de Catalunya). Toxic relationship in a nutshell. Unhealthy, manipulative, painful. Is this love? A very sharp and intelligent take on a possessive-obsessive couple dynamics, where neither is strong enough to leave. In a myriad of details and observations the psychology of it comes at you from the script, the body language, the looks, the movie speaks its truth as a whole, and genuinely feels like a first-hand experience. A genuinely fucked up experience.